Wisdom teeth should never come as a surprise to your patients. 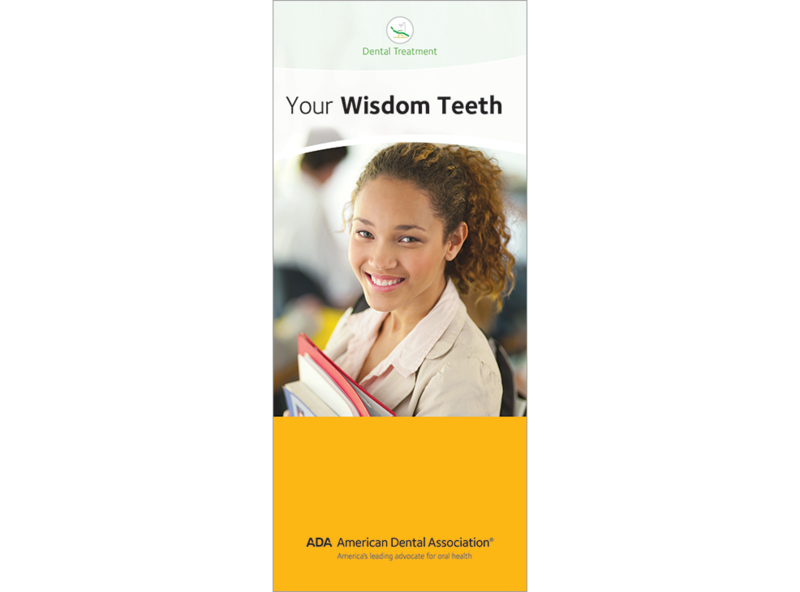 This useful brochure encourages them to have a dentist monitor third molar development. Tells why and when wisdom teeth need to be removed and what to expect if an extraction is indicated. Includes photo and radiograph of impacted wisdom teeth. Pack of 50, 6 panels.